Humanity has finally landed in a place that was near but almost entirely mysterious: the far side of the moon. That world – forever turned away from the Earth, and from which signals cannot be sent directly – has finally been explored by a rover that dropped onto the surface. It is a breakthrough that will allow humanity to learn more about its near neighbour. But it could also serve as another part of a grand attempt by China to understand more about our Solar System, and one step onto sending humans to the Moon and deeper into our neighbourhood. The Chinese space agency was already one of three to have sent spacecraft to the Moon, alongside the US and the former Soviet Union. But the latest arrival is a breakthrough, as the first ever landing on the so-called dark side of the Moon. It is a difficult and unexplored place not only because it is shielded from us. 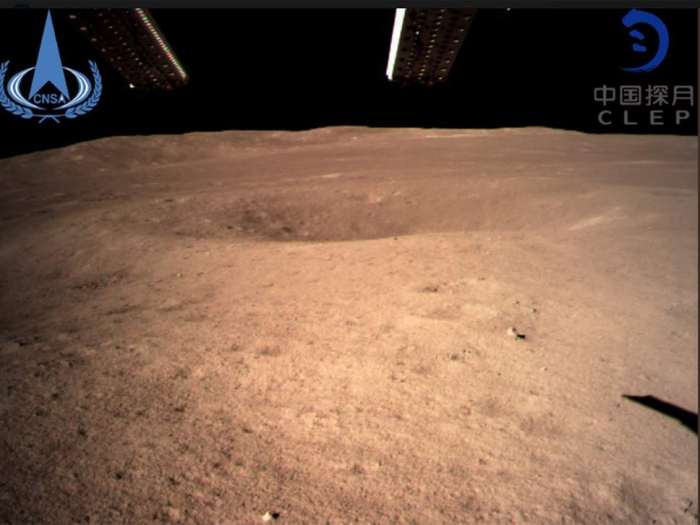 The other side of the Moon is marked by craters and other geological disruption, making it a less smooth and simple place to drop down onto with a lander like Chang'e 4. The first photos sent back depict that surface: showing a small crater and a barren surface, lit by light from the lunar explorer itself. Those photos are just the beginning of a mission that will take years to fully understand. In the near term, the lander is going to go on to do even more pioneering work – perhaps most notably in its attempt to grow insects and plants there. As well as the more traditional sensors – used to research the ground it stands on as well as the space in which it is travelling – it is carrying "biosphere" of seeds and insect eggs that will be used to see whether they can hatch and grow as they depend on each other. In the longer term, China hopes it serves as part of a mission to get even more interesting forms of life onto the Moon, as part of a lunar colony that could eventually become home to humans. Chang'e 4's sensors will also allow it to reach out beyond the Moon, and understand the universe itself. The dark side of the Moon is protected from the noise of radio signals from the Earth – allowing scientists to study signals from elsewhere in the universe, potentially shedding light on the origin of stars and other parts of the universe. Chinese media suggested that would be just the beginning of its explanation of the rest of the Solar System, too. Chang'e 4 is named after a Chinese goddess who is said to have lived on the Moon for thousands of years. It comes after the Chang'e 3 probe, which was the first Moon landing of any kind since 1976 when it dropped onto the Moon five years ago. And it will be followed by another Chang'e probe, number 5, which will head to the Moon and then come back with samples of what it finds there. That will be the first time that samples have been returned since that same Soviet mission in 1976.